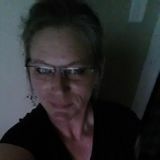 Want to connect with Rayetta? Hi there my name is Rayetta. I am certified nurses assistant 12 years cpr & first aid certified. I'm responsible and take pride in caring for others. And I look forward to helping your family & look forward to hearing from you!